Hickory is the most popular wood for making drumsticks. It is an extremely resilient hardwood and offers excellent shock absorption characteristics, which helps the stick resist breaking. 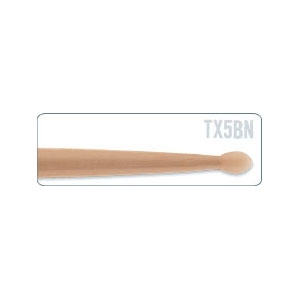 The 5B Nylon tip stick is 16 long and 19/32 in diameter.